T-Mobile has started pushing out a new update to LG G Pad X 8.0 units on its network. 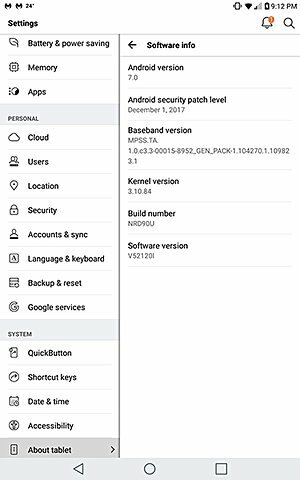 Arriving as version V52120l, it's mainly a security update that weighs in at around 95MB and brings the December security patch. The changelog posted on the magenta carrier's website also lists "minor software stability and bug fixes." So that's pretty much it. It's been a few days since the update began rolling out, but if it still hasn't hit your device, be patient, as OTA roll outs usually happen in batches. Android Oreo was not there. Come on, LG!